Pygmy, one of a handful of young adults from a totalitarian state is sent to the United States, disguised as an exchange student, to live with typical American families and blend in, all the while planning an unspecified act of massive terrorism. Opinions are truly divided on this novel, and the split seems to go straight down the middle between literature lovers and Palahniuk cult fanatics. Being very much in the former camp, and having never read a Chuck P novel which has blown me away, I want to set a disclaimer to state my own opinion is very much unbiased: I liked it. Our narrator, Pygmy (named due to his tiny stature) is brought up by a brainwashing government in a country whose name we never learn. His sole purpose in life is to bring down the United States in a mission called Operation Havoc. The entire novel is written in broken, sometimes incredibly childlike, English. Although this is a complete mindbend at the beginning of the novel, the reader gets into their stride and begins to understand. I did have a couple of issues with this narrative style, however. One was that Pygmy was given to us as a child prodigy; one who had the periodic table, along with various other intellectual accomplishments, nailed by the time he was four. Surely someone of this mental calibre wouldn't have any problems speaking a second language? I couldn't stop wondering about it. The second disappointment was that throughout the novel there was very much a feel of making fun of the foreigner who can't speak our language. Not cool. Palahniuk successfully pokes fun at American institutions, and although these jokes are the obvious stereotypes we all know well (corrupt Christianity, obesity, the power of consumerism, sexualisation of almost everything), I found them hilarious and very true. This is probably because I'm not American, or maybe because I've only just visited America and experienced these things for myself. The ending disappointed me massively. 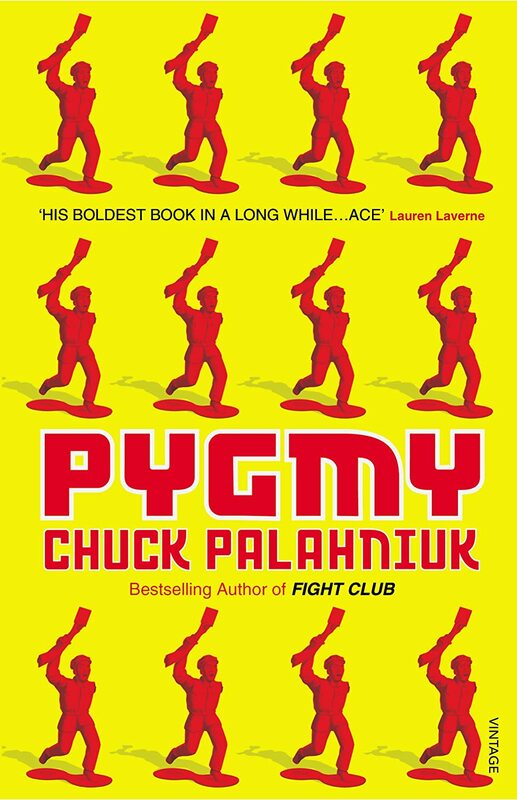 I haven't actually read many Palahniuk novels, and some I read years ago before I'd whet my literary whistle; I don't feel this type of ending is something he gives often, and I didn't feel here it was appropriate. Maybe he was hinting that Westernisation is addictive and desirable, but I don't feel someone trained as a terrorist and bred into a hatred of America would be so easily swayed. Yes, it could've been done better. Yes, the narrative style was a bit hit or miss. Yes, it was a tongue in cheek portrayal of a terrorist's view on Westernised society. YES, I would love to read something in this vein which is far more serious, and far more educating. But I laughed, I was disgusted, and I liked it.